Training to pack on muscle can be a hard slog. You have to continuously overload the muscle and challenge it in different way as to promote growth. Sometimes it’s just too easy to fall in to the trap of the same session for weeks and weeks on end. In this article we will introduce you to a training system that not only boosts muscle-mass but burns fat too. Using four or more exercises for the same muscle group to significantly challenge the muscle from different angles. A challenging, advanced system for muscle building and fat loss. What is a Giant Set? When you train a muscle to fatigue you build up metabolites – hydrogen ions and lactic acid for example. When these increase they trigger the release of growth factor hormones. This leads to new muscle cells, bigger muscle fibers and ultimately to larger muscle tissue. When you group exercises together for the same muscle, the number of metabolites and growth factors rapidly increase, meaning a better stimulus for growth. This training system is much more beneficial for growth than traditional standard sets. Giant sets is an advanced method of training where you choose four or more exercises for the same muscle. You plan the exercises, weights and reps in advance and organize each exercise so that you can smoothly transition from one to the next with minimal rest in-between exercises. In the grand scheme of things it doesn’t matter too much about the order of exercises, however research has suggested that completing single joint exercises early in the system leads to higher overall volume and number of repetitions completed . This training program has a strong metabolic effect meaning not only will it overload your target muscle, it will get your metabolic rate firing. The need for a high blood volume within the muscle means that your heart rate will rapidly increase during giant sets – it does this to deliver the nutrients, metabolites and growth factors needed to maintain work. It will elevate your excess post-exercise oxygen consumption too (EPOC). This is the term used when your metabolism is elevated for a few hours after exercise – this makes this training system a great fat burner too. It’s like built in cardio. This system really ramps up your session volume – you’ll be completing multiple sets in a short period of time making it a very productive, time-saving way of training. By completing giant sets you’ll significantly increase muscle mass and fat burning. It’ll also improve how you tolerate lactic acid which will improve your overall performance and endurance. 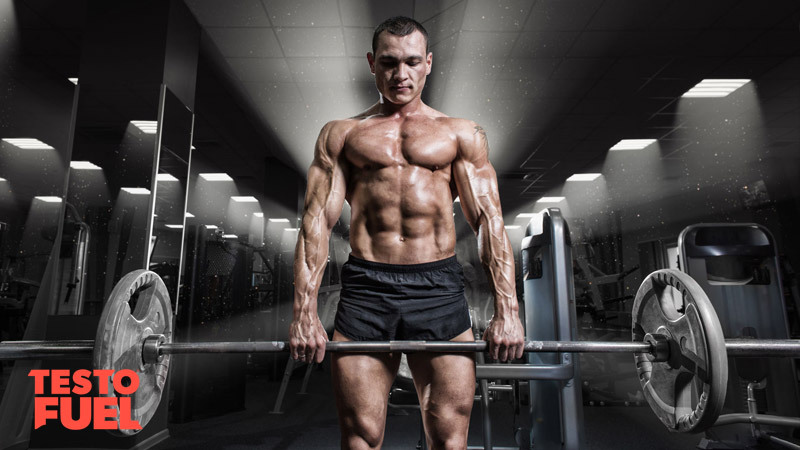 Another benefit is not only are you putting the muscle through a higher than normal amount of volume, you’re also hitting it through a variety of angles. As each exercise targets different muscle fibers you’ll ensure you get a ‘total’ workout that overloads as much of the muscle as possible. Only completing one exercise is limiting for overall development. You need to be aware that this is an advanced and challenging workout not intended for beginners. The continuous, high-intensity nature means that not only will your muscles be placed under a lot of workload, so will you’re cardiovascular system. We’d suggest that you use giant sets periodically so as not to burn out, overreach or overtrain. Incorporating them into your workout every other week is absolutely fine. If you do them continuously you’ll not give enough time for your body to recover. You’ll also need to consider equipment, space and other gym users. To be able to complete a giant set – particularly during busy periods in the gym – you’ll need to really think about the exercises you choose. If you have two exercises at opposite ends of the gym you’ll probably find that by the time you get to the second one, someone has taken your machine – and that’ll only frustrate you. For that reason you have to think about it logically. Plan it simply, but make sure everything you need is nice and close to you. The only thing stopping you adding giant sets to your workouts is knowledge of exercises and what muscles they involve. So to start you off we’ve added one giant set per muscle group to get you going. You can add or exchange exercises if you want, just make sure that they include the target muscle. Plan your exercises and the order that you wish to perform them. Get all of the equipment you need ready so as to stop anyone taking the weights you need mid-way through the system. Aim for weights that will allow between 8-15 repetitions for each one, and bear in mind that as you reach the end of the system you’ll be tired and weights will feel heavier than normal. Aim to have no more than 10 seconds rest in-between exercises. To keep metabolites elevated you can’t rest too long. Once you’ve completed a giant set you can rest 1-3 minutes and repeat again. Typically you’d complete 3-5 sets in a session but you can do more or even less if you want to. In order to get you started here are some examples for different muscle groups. You can swap the order of exercises around to suit your preference or you can include different ones if necessary. Remember, four is the minimum – if you want to make this system harder just add more exercises to the giant set.